Since each cake is hand-crafted, and we refuse to lower our decorating standards, we have a maximum amount of cake orders we can take on any given day. Please book your order as soon as possible. Our Store is fully stocked with supplies for the decorator in you! We have decorating tips, pastry bags, gumpaste tools, cookie cutters, sanding sugars, cake pans, cardboard circles, cake boxes, and even some of those hard to find ingredients, like meringue power and glucose ... The list can go on and on. 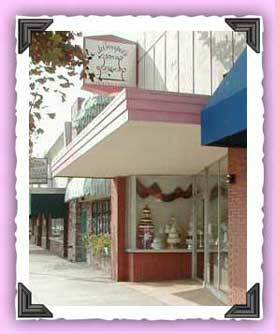 We also offer a series of cake decorating classes for the beginner or advanced student. Brush up on some skills or take the leap into the creative world of decorating. We'll have a class to suit you. We tried to pack as much information into this web site as possible, and we are updating it as often as we can. If you still have questions, please give us a call. Or better yet, come on in... We'd love to meet you.